In addition to public and scholarly deliberations regarding increased inequalities in society, this project responds to the continued socio-economic exclusion of many Māori households. We draw on recent scholarship on the precariat as an emerging social class comprised of people experiencing unstable employment, unliveable incomes, inadequate state supports, marginalisation and stigma. Our focus is on the Māori precariat, whose rights are being eroded through punitive labour and welfare reforms. While we document issues of employment, food, housing and cultural insecurities shaping precarious lives, we also develop a focus on household connections, practices and strengths. This focus is important because connections, practices and strengths can buffer whānau against adversity for a time, render aspects of their lives more liveable, and enable human flourishing. 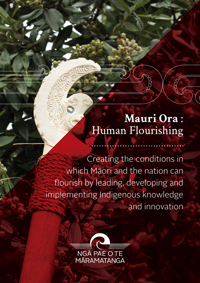 Māori have a long association with the natural environment and are well-positioned to make important contributions to sustainably managing natural resources in New Zealand and the world. 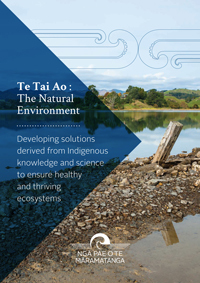 Kaitiakitanga and other practices provide a powerful foundation for developing paradigms in governance, management, caring, development and benefit-sharing of land, water (freshwater and marine) and other natural resources. In the 21st century, indigenous youth face an uncertain and challenging future. In the years ahead they will need to deal with a daunting range of issues, some of potentially unprecedented scale and scope. Professor Helen Moewaka Barnes is based out of Massey University and is currently Director of Whāriki and Co-director of the SHORE and Whariki Research Centre. She has worked on research in many areas; more recently relationships between the health of people and the health of environments, sexual coercion, alcohol and youth well-being and identity.